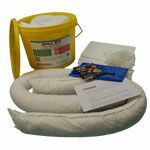 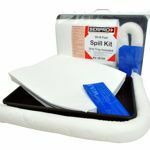 SERPRO's Oil-Only Spill Kits contain all the materials you need for a fast and effective oil spill cleanup. 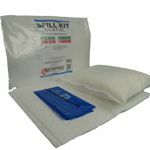 These kits contain oil absorbents that absorb oil and petroleum - or other hydrocarbon-based products - while repelling water. 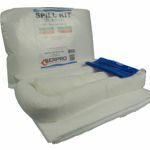 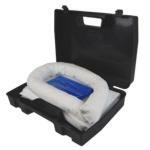 Ideal for use on dry land and bodies of water like streams, harbors, rivers and other waterways. 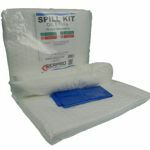 Oil spills can have a devastating effect on our surroundings. 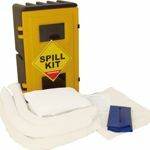 Walking on oil spills can cause people to slip and injure themselves. 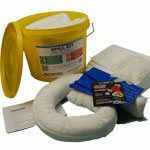 It can also produce intense fires when accidentally ignited which can do considerable damage to the facility and the environment.